Light Up a Fire Inside Yourself and Serve! A fellow priest called me the other day and invited me to lunch away from his parish. After we caught up on the pleasantries of the day, I noticed tears welling up in his eyes. “I don’t know who to talk to and in whom to confide. Frankly, I think I’m burned out with my ministry. I feel like a ping pong ball, slammed from one end of the table to the other. I’m at my wits end.” I put my hand on his shoulder and encouraged him to keep talking. We hardly touched our food. “Father John, I’m so stressed out. My Presvytera and kids hardly see me because of parish evening meetings and when I get home I’m so emotionally and physically exhausted I retreat into myself and seem to have nothing to offer my family. I would leave the priesthood, but what work could I get? I’m still paying on my loans for my education at the seminary and have financial obligations that I’m constantly juggling. Sometimes, I just want to run away …and just disappear.” I was so very glad I could be an empathetic sounding board to this brother priest. Just being there and listening and offering some advice seemed to help. In recent years much research has been carried out showing stress and burn-out is one of the major health problems facing people, especially males. Chronic and unrelieved stress, when not recognized can and does have serious physical, emotional, and even spiritual consequences. Such physical ailments as tension or migraine headaches, ulcers, chronic backache, hypertension, stroke, and heart disease are commonly regarded today as stress-related. Spiritually, the toll can include difficulties with prayer, worship and the loss of motivation, joy, enthusiasm and peace. 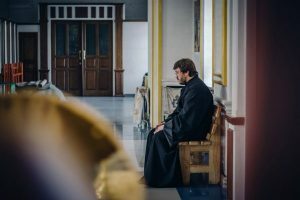 It’s the “burn-out syndrome.” Although priests today may experience the same high stress found among other professional groups, some of the causes are unique to the priesthood. 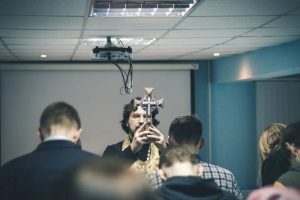 Priests preside over communities of the faithful which must attempt to mediate the Gospel message and Orthodox Christian Tradition to a culture whose institutions are undergoing profound change. These ecclesial communities have also undergone change and growth, and have had their own share of turmoil division and pain. 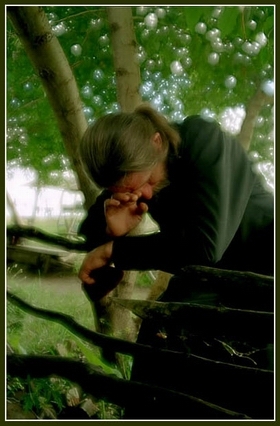 Priests under stress are characterized by “too much” in their lives, even too much of a good thing. Typically the person under great stress has too many deadlines, tries to do too many things at once, can be highly disturbed by delays and generally is characterized by endless “shoulds,” “musts,” “oughts,” and “have to’s” in life. The never ending parish expectations often conflict with the central purpose of the teachings of the church. What does one do first? The priest must be a great liturgist (with commanding voice and presence); he must be a great preacher and motivate the congregation, but never over “ten minutes on the pulpit.” He must be a great administrator (mostly with unpredictable volunteers which include the parish council and various parish committees). He must be a great fund raiser, be a social worker, educator, spiritual father, counselor, politician, be bi-lingual, never lose his temper or raise his voice, must treat everyone alike and show no partiality. He cannot admit to personal problems or difficulties. He must be humble (which some see as weakness in our secular society), must be spiritual and holy but put on a great Greek Festival and now more than ever in this economy, he is expected also to use his office as an employment agency. This list can go on. Every parishioner has his or her own list of what makes for a good priest. To please everyone and keep the peace, the priest who is suffering with “burn-out” generally works harder, not less. He tends to take on more duties but seems to accomplish less. The work he once did with joy has become a burden, zeal and motivation having given way to compulsion. Because of this, one begins to feel guilty and inadequate, unappreciated and unloved. 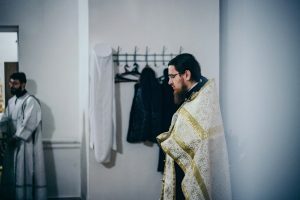 A serious source of stress and burn-out for a priest is the gap that often develops between the real state of his spiritual life and what he ideally expects of it. He may lose confidence in the genuineness of his own spiritual life, while reaching for the ideals of the Faith seem to elude him. As this gap widens, he may tend to retreat more and more from what is central to his priesthood, the sense of Christ’s love for him. Thus his prayer may become routine or neglected, and gradually his spiritual leadership diminishes. In turn, he may begin to feel a sense of guilt and failure in his ministry. Soon, instead of preaching and ministering from his personal experience of faith, he finds that he preaches abstract homilies and ministers platitudes. The sources of his ministry have dried up in himself. He now finds ministry somewhat alienating, and himself hollow. There are no easy answers to priests’ stress and burn–out. Professionals who deal with these issues will approach solutions holistically and with various therapeutic responses. But from personal experience, parish leaders and the congregation in general, must realize and accept that a priest’s intense and disciplined daily prayer life is primary in his so called “job description.” Without it he becomes a country club manager and social events coordinator. Prayer is not an option. It is the life line to his priesthood. Even the Lord Himself had to frequently retreat for secluded private prayer and fasting. A priest must make time for prayer himself, putting such times in his calendar as he does for other appointments. This includes certain hours or even certain days when he spends time alone in reflective solitude, or with some brother priests of shared prayer and renewal. He is often caught in the crossfire of guilt: he is made to feel guilty if he spends time praying because of urgent pastoral obligations that confront him. Yet he may feel even more guilt if he fails to spend time in personal prayer because of moral imperatives and the promptings of the Holy Spirit. The only real solution to the dilemma of stress and burn-out that plagues many priests is to reassess priorities and begin personal renewal of our spiritual lives as the source of all spirituality…namely personal contact with the life giving, life animating, Comforter, the Holy Spirit Himself.